Ducati SuperSport: Ducati has confirmed the launch of its SuperSport in India on September 22. 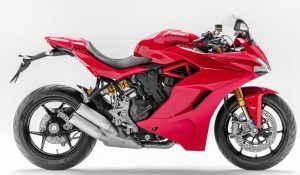 The Italian bike maker has confirmed that the bike will be made available in two variants – SuperSport and SuperSport S. The company has announced the bookings for Ducati SuperSport and SuperSport S have been rolled out across the dealer chain in India. Ducati SuperSport gets a tubular steel trellis frame. The fully faired sports-styled motorcycle drives it Power from a 937cc Testastretta engine borrowed from Hypermotard 939. The motor delivers 110hp at 9,000rpm and churns out a peak torque of 96.7Nm at 6,500rpm. The engine is mated to the six-speed manual gearbox. Ducati SuperSport gets fully adjustable 43 mm upside front fork and an adjustable Sachs mono-shock at the rear. A dual 320 mm semi-floating discs at the front are assigned for breaking duties along with a single 245 mm 2-piston caliper at the rear. The Italian made motorcycle boasts three Riding Modes-Sport, Touring and Urban namely. On the other hand, it also includes a safety pack which includes Bosch ABS and traction control. The bike gets 17-inch rims shod with 120/70 ZR17 on the front and 180/55 ZR17 Pirelli Diablo Rosso III tyres at the rear. Ducati SuperSport price will be likely impressive for the buyers comparing among the others in the segment. Ducati SuperSport S features almost same specs of the SuperSport. Even SuperSport S pack the same 937cc Testastretta engine which delivers 110hp at 9,000rpm. The only difference you observe between the two models is the suspension installed. SuperSport S equips fully-adjustable refined Öhlins suspension with 48 mm fork at the front and a single shock with an integrated gas tank. 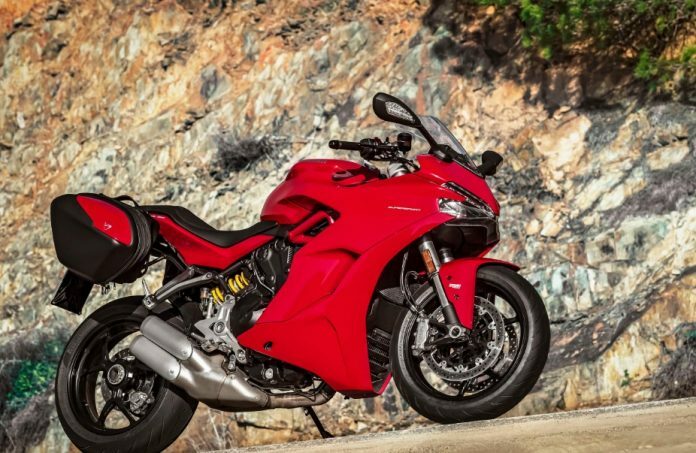 Both the bikes feature an Adjustable windscreen, Day Time Running Light (DRL), Ready for Ducati Quick Shift (DQS) up/down (which allows shifting through the gears without clutch), and anti-theft system. Ducati SuperSport and SuperSport S come with a 16L fuel tank and measure a curb weight of 210kg. The Volkswagen owned company has featured the luxury motor cycles to meet the entire premium feel. “The best road on which to test the SuperSport? Any road,” says Alessandro Velia, the official tester of Ducati. “Its main characteristic is its versatility; an attitude that goes far beyond its performance,” adds Cristian Gasparri, the project manager of SuperSport. Ducati’s SuperSport and SuperSport S price ranges between Rs.13 lakh to Rs.14 lakh. It is believed that the super bikes will compete with the likes of Suzuki GSX-S1000F and Kawasaki Ninja 1000 in India. According to reports, Ducati SuperSport is now open for pre-bookings with a down payment of Rs 1 lakh.